The signing of a Defence Cooperation Agreement with Indonesia  on 5 September 2012 shows a strong intent to deepen bilateral defence ties between Indonesia and Australia. At the time, Defence Minister Stephen Smith said that the tempo of defence cooperation was at its highest point in 15 years . There’s been a substantial increase in ministerial-level exchanges and the establishment of a regular Defence Minister’s meeting and a ‘two plus two’ dialogue between Defence and Foreign Ministers. And the next Defence White Paper will aim to set out a path to even closer and more comprehensive military cooperation. These are positive developments and indeed ones which receive bipartisan support if Mr Abbott’s frequent use of the term ‘more Jakarta and less Geneva’  is translated into policy. But the fact remains that Australia and Indonesia have a challenging if not difficult relationship. The 15-year high Stephen Smith refers to can be contrasted with the all-time political and strategic low the relationship fell to in 1999 at the time of the East Timor crisis. Then, as Australian forces deployed into East Timor, there were justifiable fears that Canberra and Jakarta might descend into open military conflict. While relations today are positive, tensions remain, as does the potential for serious misunderstanding between two such starkly different countries. The Defence White paper can help strengthen this critical relationship—I suggest four areas of engagement here which could be used to dramatically strengthen ties. First, it’s time to create a formal mechanism by which the Defence high commands of the two countries regularly meet. Such a grouping met once in the past, in March 1999, known as the CDF–PANGAB Forum . Around 20 senior ADF attended and, although the media statement announcing the meeting rather deliberately underplayed its purpose, the Forum was hoped to become a regular meeting of the top brass in both countries. It fell away with the Timor Crisis breaking a few months earlier, but the time is right to resume such structured connection. 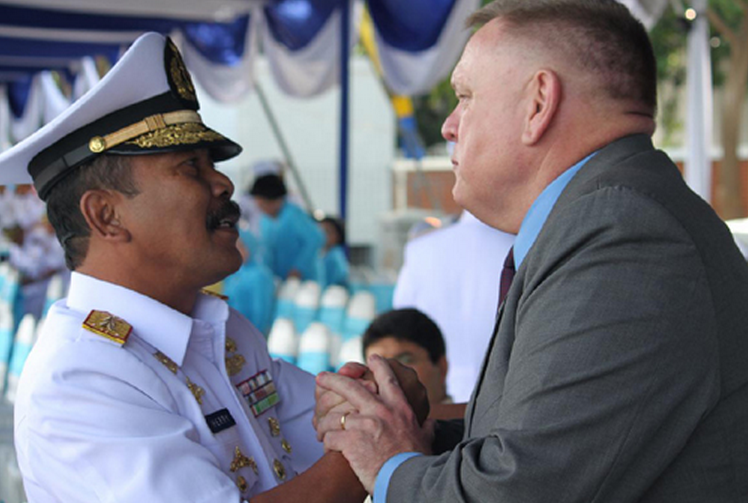 Second, Defence should fund the creation of both an Australian and Indonesian institutional home for IKAHAN—the Indonesia-Australia Alumni Association, brainchild of CDF David Hurley —which has become a successful way to bring military and defence civilian’s together from both countries. The organisation offers a pool of ready talent to help drive the relationship. IKAHAN should be given a physical base in both countries and expand its role to sponsor exchanges and scholarship on strategic issues. An obvious Australian home for an IKAHAN Centre would be at the Australian Defence Force Academy in Canberra. Here a core of Indonesia-related thinking and analysis should be established to deepen our engagement. The need for this stronger analytical focus on Indonesia is well reflected in the Asian Century White Paper, but it should not be focused solely on the university sector. There is a deep need for policy practitioners to build their knowledge of Indonesia and for this to reflect itself in strengthened analytical capabilities about Indonesia in Defence, Foreign Affairs and the intelligence community. Third, we need more structured engagement for ADF officer cadets and graduates joining the Defence Department. If IKAHAN taps the commitment and knowledge base of senior personnel, we also must make sure that young Defence professionals have the opportunity to understand each other’s country and to build personal contacts. Defence should consider programs that would take each cadet graduating year and each new intake of Defence civilian graduates up to Indonesia for a couple of weeks. Early contact of this sort can help to establish connections that prove invaluable in times of crisis when political relations are difficult and communications poor. These measures should be viewed as relatively low cost add-ons to the plan that is likely to be set out in the Defence White Paper for increasing operational cooperation between the Services, additional exercising and joint operational activities. What I have suggested here would amount to no more than an additional spend of about $10 million annually. In Defence terms this would be a small down-payment for a long-term return. It’s an investment that any likely future Australian government should endorse, as in time it would be able to draw on the good will generated when the next drug mule or live animal trading problem threatens to derail the relationship. A final element in the defence bilateral relationship with Indonesia needs to be openly acknowledged: the fact is that it’ll take years to build a deeper level of trust between the two countries. Indonesia isn’t New Zealand. It’s possible to imagine strategic circumstances in which Jakarta and Canberra could well be seriously at odds. While no-one wishes that outcome, it would be silly to discount the possibility of deep differences emerging in the future. The intelligent thing to do would be to recognise this reality. Strong fences in the form of capable defence forces will make for more respectful neighbours. As a footnote to this blog, I should mention that ASPI is well advanced in plans to establish a 1.5 track dialogue with Indonesia on strategic and defence matters. Also, with the support of Defence, we’ll also soon establish an Indonesian visiting fellow position, hopefully to be filled by one or two emerging strategic scholars every year. Peter Jennings is executive director of the Australian Strategic Policy Institute. Image courtesy of IKAHAN .